Maldives Artiste Directory event. 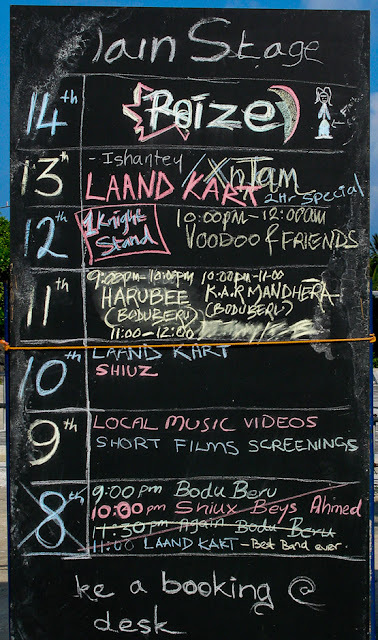 The schedule was written on large blackboard near the entrance to the stage area. A saw a lot of youngsters hanging out near the stage in the afternoon, practicing their acts. Seems like a lot of stuff is going down at this event. All the best to Maldivian Artistes.